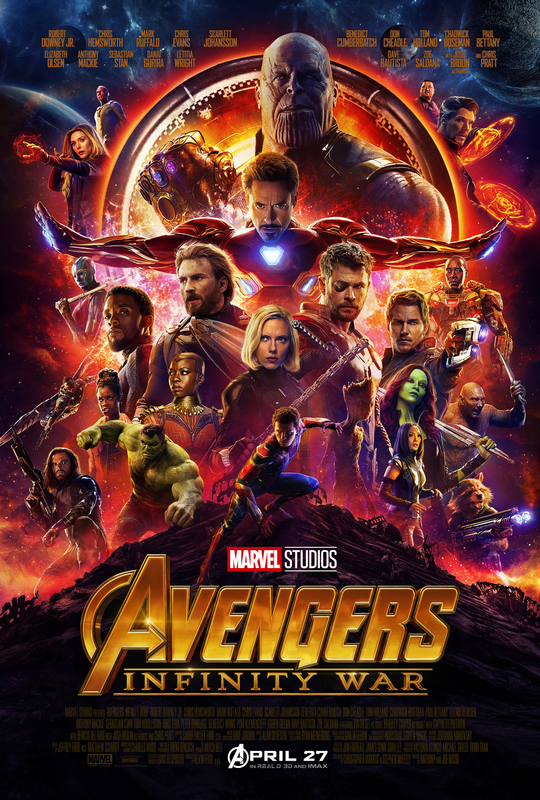 MOVIE THEATER REVIEW: Over the weekend, I saw “Avengers: Infinity War,” which stars Robert Downey Jr. (Tropic Thunder, Zodiac), Chris Hemsworth (Snow White and the Huntsman, In the Heart of the Sea), Mark Ruffalo (Begin Again, Foxcatcher), Chris Evans (Snowpiercer, Before We Go), Scarlett Johansson (Isle of Dogs, Her), Don Cheadle (Crash, Hotel Rwanda), Benedict Cumberbatch (Star Trek Into Darkness, The Imitation Game), Josh Brolin (Sicario, The Goonies), Tom Holland (The Impossible, The Lost City of Z), Chadwick Boseman (42, Gods of Egypt), Zoe Saldana (Avatar, Star Trek ), Chris Pratt (Jurassic World, Parks and Recreation [TV series]), Dave Bautista (Blade Runner 2049, Spectre), Elizabeth Olsen (Godzilla , Martha Macy Mary Marlene), Paul Bettany (A Knight’s Tale, A Beautiful Mind), Bradley Cooper (Silver Linings Playbook, American Sniper), Karen Gillan (Jumanji: Welcome to the Jungle, Selfie [TV series]), Anthony Mackie (The Hurt Locker, The Adjustment Bureau), Sebastian Stan (I’m Not Here, I Tonya), Pom Klementieff (Old Boy, Ingrid Goes West), Vin Diesel (The Fast and the Furious, Pitch Black), Tom Hiddleston (Early Man, The Night Manager [TV series]), Idris Elba (Beasts of No Nation, Pacific Rim), Danai Gurira (The Visitor, Mother of George), Peter Dinklage (Game of Thrones [TV series], X-Men: Days of Future Past), Benedict Wong (Redemption, Annihilation), Gwenyth Paltrow (Shakespeare in Love, Sliding Doors), Benicio Del Toro (The Usual Suspects, Traffic), Letitia Wright (The Commuter, Black Mirror [TV series]), William Hurt (A History of Violence, Altered States), Winston Duke (Person of Interest [TV series], Black Panther), and Stan Lee (The Avengers , Guardians of the Galaxy). It was directed by Anthony and Joe Russo (You Me and Dupree, Community [TV series]), while the screenplay was written by Christopher Markus (Pain & Gain, The Chronicles of Narnia: The Lion the Witch and the Wardrobe ) and Stephen McFeely (Agent Carter [TV series], Thor: The Dark World). 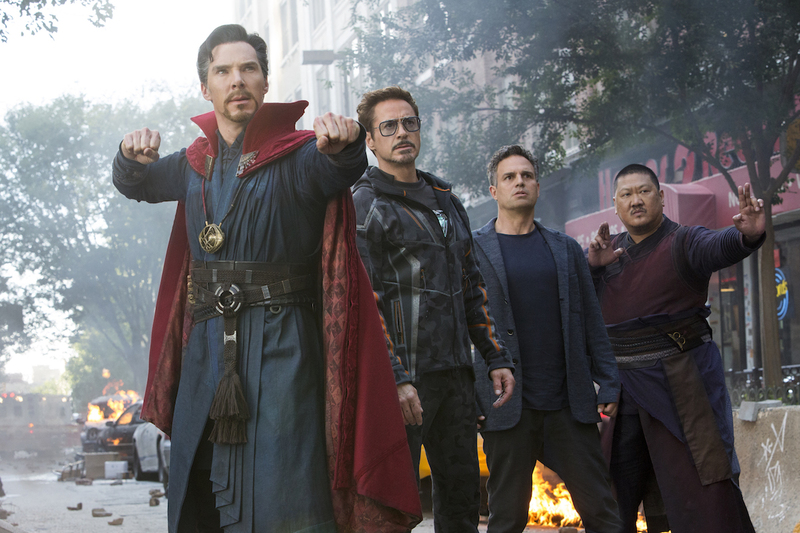 When Thanos (Brolin) sets out to gather the rest of the infinity stones to aid him in destroying the universe, it is up to the Avengers and Guardians to band together in order to stop him. In making a few extra points, I’m completely at a loss of words for what happened to everyone. Going up in ash was not expected, and I don’t know what Thanos did to make that happen. The scene between Tony and Spidey (Holland) when the teen was vanishing was heart-wrenching for me, and clearly one of the most tearjerking scenes of the feature. As for my nitpick (I really had only one big one), it would be the whole purpose of Doctor Strange (Cumberbatch) not using his time stone. I mean, seriously? He could’ve reversed time and stop Starlord from trying to kick the snot out of Thanos so they could better contain him. Why didn’t he use it!? Heck, why didn’t he use it the entire film? It’s practically the strongest weapon to use against anyone. Take it from Thanos, who used it to take the mind stone from Vision after Scarlet Witch destroyed it (awesome scene, by the way). That was getting to my head quite a bit throughout the rest of the movie, and I can only hope that it is cleared up in the future, aside from them just avoiding it. One other note to make is the after credits scene with Nick Fury. That kinda put me off because I thought he went underground (and became a disheveled man). Why is he driving around in the open with his assistant? I’m glad he’s back, since he’ll be in the fourth “Avengers” installment, but there are questions to be resolved; not only this particular one, but several. Anyways, great show. The stuff with Thanos was exceptional, especially the dream-like scene with him and little Gamora. It was haunting. Dr. Strange looked at all the possible outcomes (millions) of a fight with Thanos and only one had them winning. This is why he did what he did, his plan is a mystery until the next installment, and that’s what makes this a titanic cliffhanger (pun intended). As for the Fury scene, it has a reference to Captain Marvel, my guess is, and I may be wrong, that this old looking tech is from the 90’s, given to Fury by Cap. Marvel to use in a situation like this. 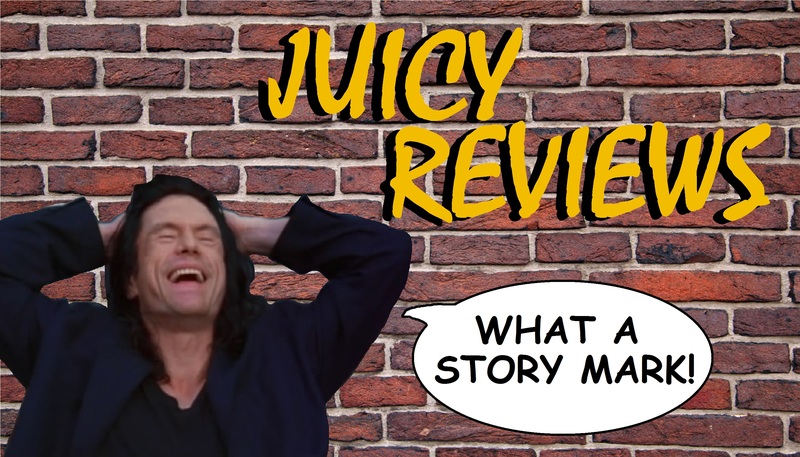 Please consider keeping the spoiler analysis segment on all your reviews, it makes for a much more interesting review. Thanks.